Elegant Home Fashions Chesterfield Wall Cabinet Two Glass Doors by Elegant Home Fashions at Wakaf Center. MPN: 6209. Hurry! Limited time offer. Offer valid only while supplies last. The Chesterfield Wall Cabinet features two waffle textured glass panel doors in an espresso finish. The cabinet classic design offers ample storage. 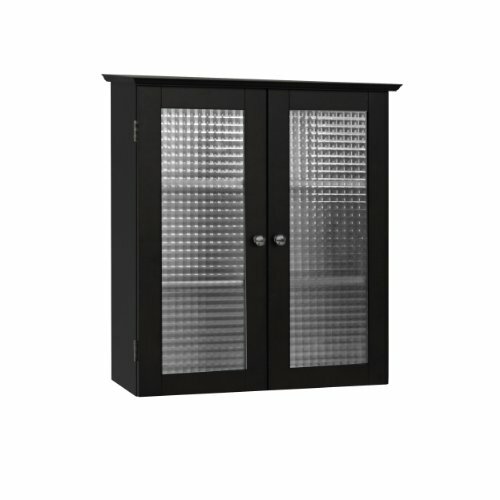 The Chesterfield Wall Cabinet features two waffle textured glass panel doors in an espresso finish. The cabinet classic design offers ample storage. The cabinet features three fixed shelves that are ideal for storing items. The double plated door knobs add a charming touch. This cabinet comes with assembly hardware.